I've had a falling out with sweet corn. We aren't fighting or anything, but we don't hang around much together nowadays. You know how when you cook or eat something twice a week, and suddenly realize that you aren't such a big fan. Or maybe just bored for a bit, which I am sure is pretty much the case and I will get back to putting corn in everything soon. But in the meantime, there's this small issue of my favorite sandwich. Every time I go to Cafe Coffee Day, I order their spinach corn cheese sandwich and a cappucinno. Some days, when they are out of this particular sandwich, I just drink my coffee. Now, CCD is not going to change their sandwich at my whim. So I made the sandwich myself instead, replacing corn with paneer. And it tastes better than theirs, I am proud to say. 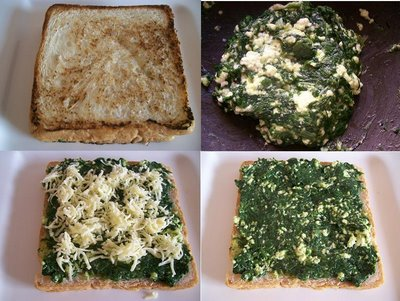 To make spinach and cheese sandwich, you need 1/2 cup finely chopped spinach, 1/4 cup finely chopped spring onions (just the green bits, not the onion), roughly 2 tbsp crumbled paneer and a similar quantity of grated cheese. And white bread - this is not the place for whole wheat or healthy rye. First the filling. Heat a tbsp of olive oil in a pan. Add spinach and spring onions and cook, stirring constantly until the mixture dries. Your spinach should be cooked by this time. Add salt and black pepper, turn off the heat and mix in the crumled paneer. Spread on a white bread slice. Sprinkle grated cheese, top with another slice and grill/toast until browned on both sides. Looks good! sure you pile it on some crostini as an open faced sandwich too! I guess we always want to recreate the food that reminded of good times. At that time it might not even be the best but still it is something. Great that you created what you enjoy. Nice. 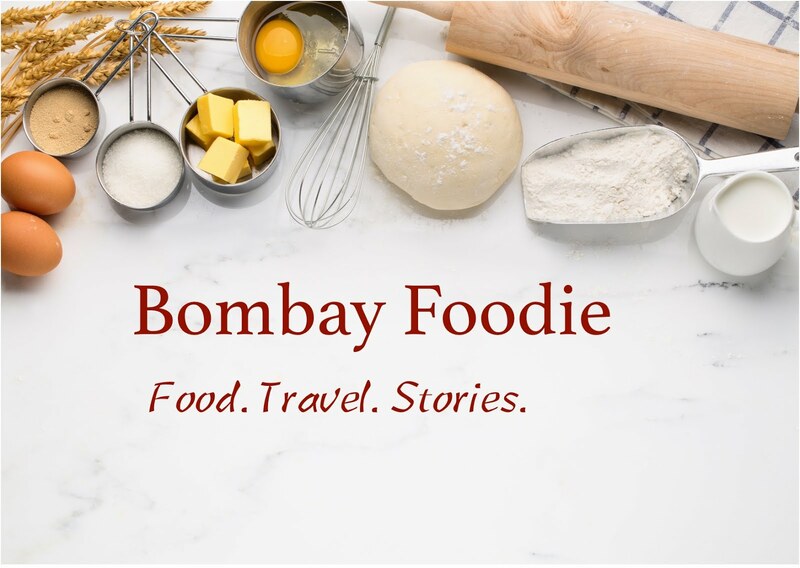 I agree with Ranjini..I'd like that mix on top of soem crostini or brushcetta. Though I don't mind palak paneer so this spinach version must be good. It should be healthy as well as tasty. So glad to find your blog!! Super recipes and pics!! Will be following you.. Dying for this sandwich but could not get in the whole of america ...One of the big reasons why I miss India every moment..